– For our children, our schools, our communities and our future. Muskegon, MI – Muskegon is in an economic crisis. Revenues are falling as unemployment, violence and despair soars. The only way out of this is a better-educated workforce, adequate and equitable funding for our schools and involved parents working collectively to make a difference for our children and our community. Our collective voice as parents has been hijacked by those who fight to be the first on every News Media comment page and/or blog to spew insult, bully and stereotype our community and our children. Our collective voice as parents has been hijacked by legislatures who’s listened to those bullies, those insults and are now legislating in ways that are devastating our communities and our children. We, the parents of Muskegon, have allowed those voices to speak for us, about us and against us. 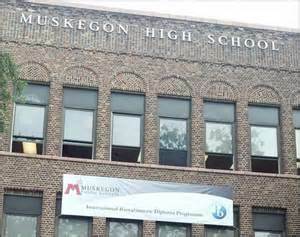 Parents, community members working quietly, separately and in small groups must be applauded but they cannot put a dent in the wave of negativity and the perception that we in Muskegon do not care about our children or our community. Our speakers at the press conference on Saturday will address our concerns re: the use of pepper spray in our school buildings, the need to allow parents to be seen as partners vs. adversaries by our school district and we will address the bigger question…where do we go from here? When: Saturday April 27, 2013 at 11:00 a.m.